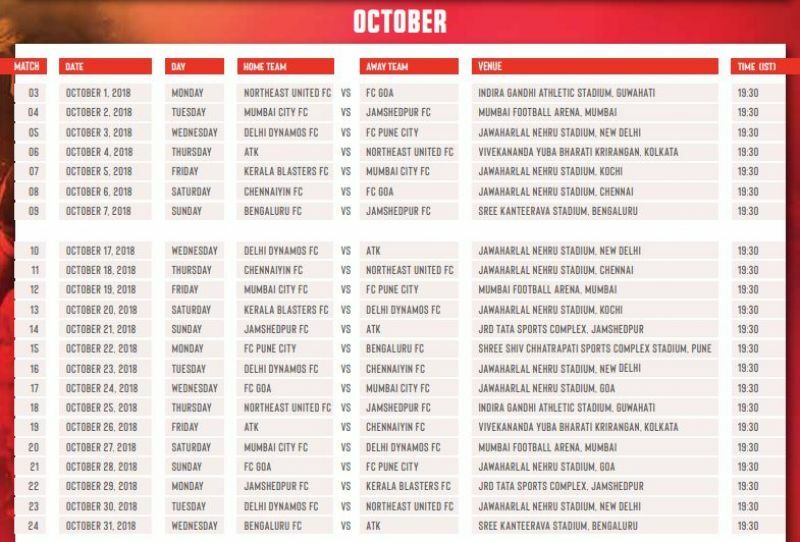 India’s grandest football extravaganza returns as the fifth edition of the Indian Super League (ISL) begins on Saturday. 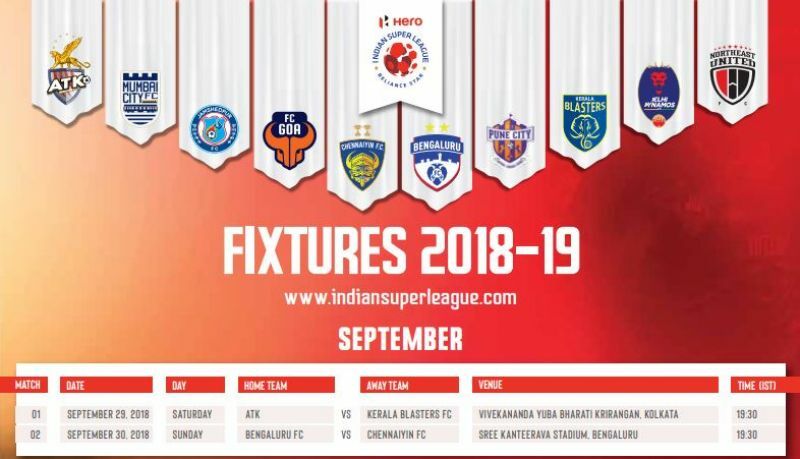 After undergoing a major revamp last term with the addition of two teams, Jamshedpur FC and Bengaluru, the latter making a switch from the I-League, it was John Gregory’s Chennaiyin FC who were crowned winners. Though the cash-rich league has done away with the compulsory rule of signing a marquee player which has seen World Cup-winning stars such as Alessandro Del Piero, Marco Materazzi and Roberto Carlos, few foreign recruits have captured the attention of many fans. 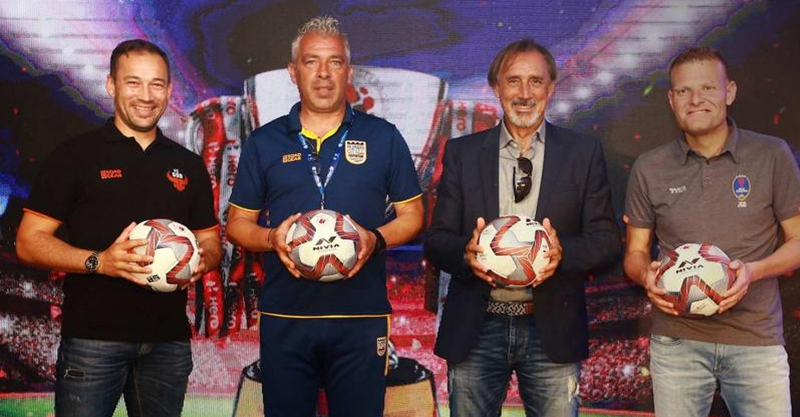 Jorge Costa, a former Champions League winner with Porto is currently managing Mumbai City while Jamshedpur FC has replaced Steve Coppell with former Atletico Madrid boss Cesar Ferrando. Jamshedpur, backed by the Tata group, has also brought Australian great Tim Cahill on board. 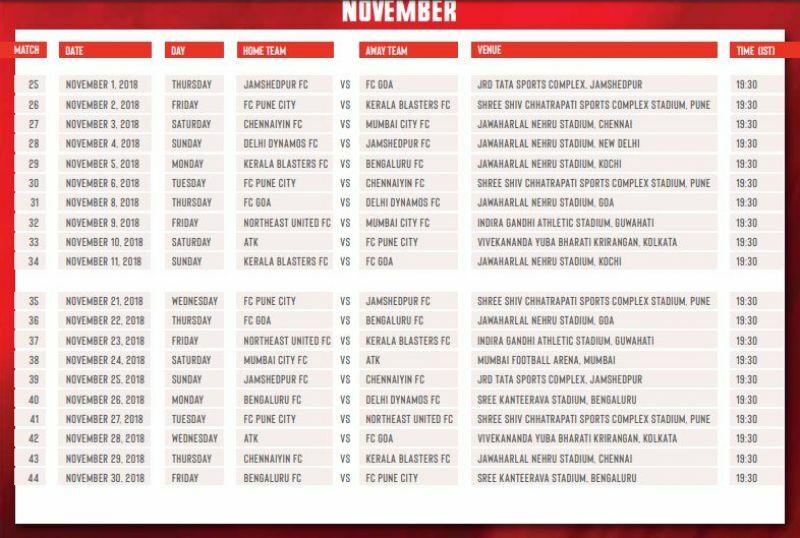 The upcoming edition is expected to be the longest with action taking place over a span of six months featuring three breaks – two FIFA windows during the month of October and November while one will be allotted towards India’s preparatory camp for the 2019 AFC Asian Cup. 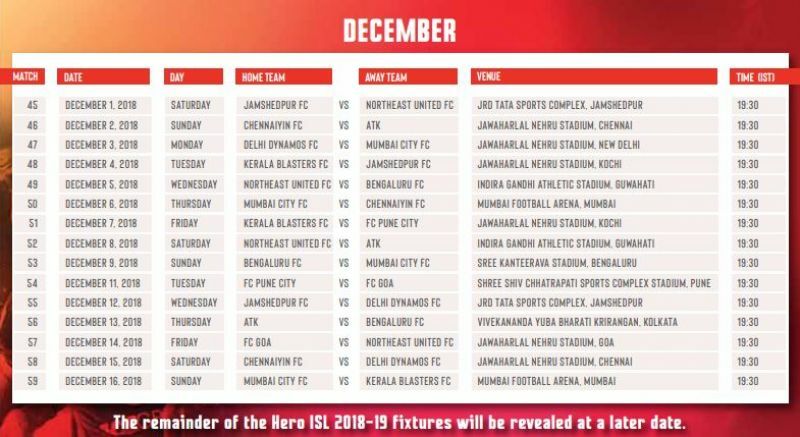 Matches of the ISL 2018-19 season will be aired on various Star Sports channels.